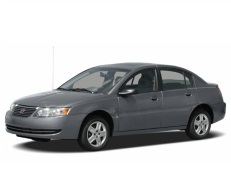 Correct Wheel Sizes, PCD, Offset, Rims and Tire specs for Saturn Ion series. The Ion Redline is listed as a 2.0T (Turbo) which is inaccurate... the Redline has a supercharger. You show the center bore of an o.e.m. 15" (4x100) wheel for a 2007 ION-2 as 57.1 mm. However, none of our wheel suppliers show it as being hub-centric. Is it 57.1 or 56.6 ? Hi, Howard! I'm not exactly sure about 56.6 or 57.1. 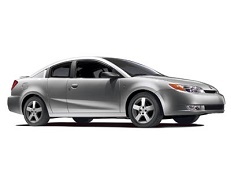 But the Saturn Ion is the twin of the Chevrolet Cobalt 2005-2010 and most sources say about 57.1mm. Anyway, wheels 56.6mm bore will not fit on 57.1 hub, but 57.1 bore will fit on 56.6 hub. No necessary in hub centric rings or something, because Ion\Cobalt has studs/nuts and 0.5mm is not a problem. Just need tighten at least one nut when the wheel in the air.